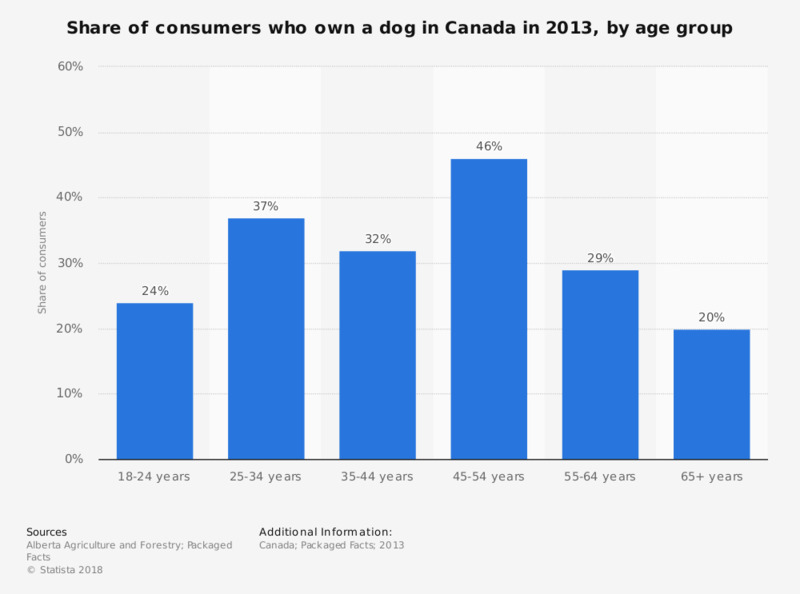 This statistic shows the share of consumers who own a dog in Canada in 2013, by age group. That year, the dog ownership rate among Canadian consumers aged between 35 and 44 years was 32 percent. Around 20 percent of those aged 65 years and older owned a dog. The source does not specify the type of survey or the number of participants.